[Via Satellite 09-02-2014] Latin American satellite solutions provider Axesat is looking into cellular backhaul as its next major vertical. With VSAT profits coming more often from the rise of Average Revenue Per User (ARPU) than from dramatic increases in site numbers, the company has spent a significant amount of time evaluating this new opportunity. “We have the expectation that in 2015 we will have a lot more cellular sites in our network than we have today. Not only the ones required by governments for cellular operators to provide, but hopefully working with them and being able to provide very cost efficient service so they can proactively expand their cellular networks where it is hard to do so today with terrestrial, but today it doesn’t pay to do so with satellite,” Mauricio Segovia CEO of Axesat told Via Satellite. Axesat has already participated in some cellular backhaul solutions. 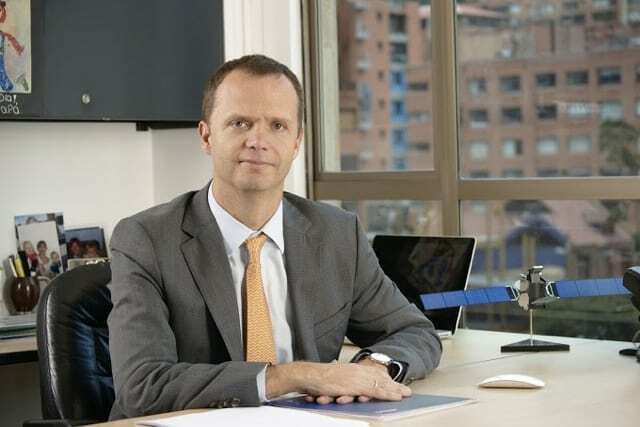 Segovia said the reason these market opportunities are maturing is due in part to regulations throughout several Latin American countries requiring cellular operators to provide services in areas that lack terrestrial infrastructure. The size of satellite’s role within a cellular operator’s work is often big enough to prompt action, but small enough for operators to reach out to satellite companies like Axesat to provide solutions rather than handle it on their own. Segovia expects open High Throughput Satellite (HTS) capacity to play a larger role in Latin America going forward. Axesat has used all the capacity it purchased from Telesat on the Anik G1 satellite launched in April 2013, and has been growing mainly on Eutelsat 117 West A, formerly Satmex 8, during 2014. Going forward, Segovia said a lot of the capacity Axesat is buying would be for markets in Mexico and countries outside of Colombia. Though the company is based in Colombia, this market remains tough as the satellite sector is fairly mature and terrestrial services continue to expand. Peru, Ecuador and Chile also show future growth opportunities for Axesat, he said. “We are looking at different ways of how our company is going to evolve into HTS capacity and we are pretty close to concluding our analysis. Before the end of the year we will have a clear picture of what capacity we are going to use in the future,” said Segovia. Axesat anticipates regional growth fueling the need for additional capacity in the future. In December 2013, the company acquired Satmex subsidiary Enlaces Integra, paving the way for an entrance into the Mexican market. Changes in the Mexican regulatory environment are opening up opportunities in oil and gas communications, and Axesat is also looking into supporting government communications needs — a market Axesat does not participate in in Colombia. The Mexican market is more populated in terms of satellite service providers, but Segovia said it represents a huge opportunity for Axesat. The company also intends to ramp up the number of cellular backhaul projects in Mexico and has participated in some already. Segovia referred to the residential HTS model as “very problematic,” for applications such as consumer broadband. Instead he anticipates HTS capacity will find its niche in larger enterprise-type projects in Mexico and elsewhere. “We hope that players like ourselves can use open HTS for the corporate market, for government projects, etc. I think that open HTS is going to be successful, including for cellular backhaul. We see that as a very big opportunity going forward. We began working in that type of market segment a year and a half ago and we have a bunch of sites already operational. HTS will help us hopefully expand those types of opportunities,” said Segovia.